Becca is the new RAIN Coach with the REEP Green Solutions team and excited to work with members of the Mount Hope community on neighbourhood rain smart projects. 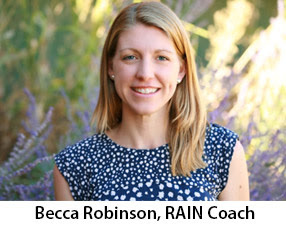 Becca’s role is to assist home owners in the design, construction and maintenance of projects in your yard and guide you through the process of obtaining incentives of up to $1,500 to soak up rain on your property. As a first step, Becca is hosting some upcoming design workshops. These workshops will help you to come up with a vision for your outdoor space and provide impartial information on features that qualify for incentives.and excited to work with members of the Mount Hope community to beautify your neighbourhood with rain smart projects. Workshop Description: This workshop will give you insight on a variety of rain smart features and provide guidance on when best to employ them. There will be an emphasis on rain gardens and infiltration galleries, but also information on rainwater harvesting, permeable pavement and other ways to manage water where it falls. We will discuss how to maximize the effectiveness of your rain smart yard and help you to develop a design. Starting in April, Becca will be available for one-on-one consultations with homeowners to fast track their projects for incentives. To arrange an appointment please contact rain@reepgreen.ca. For more information on the process to obtain incentives please visit our website.